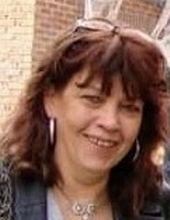 Mrs. Mary McSweeney, age 61, passed away March 29, 2019 at the St. Albans Health and Rehab Center after a lengthy illness. She was born in Burlington July 30, 1957 daughter of the late Merwin and Imogene (Bevins) Fuller. She worked for many years as an admitting clerk for the Fanny Allen Hospital, and then as a switchboard operator at Northwestern Medical Center. She married Larry McSweeney, who predeceased her. Mary is survived by her children Melissa Benway of St. Albans, and Larry McSweeney II of Milton, her grandchildren Grayson McSweeney of Georgia, Marissa Kelleher of North Troy, and Brandon Benway of St. Albans, her sisters, Sally McIntyre, Di’Anne Bedard, and Alice Isham all of Milton, Sylvia Coli of Chittenden, her brother Leonard Fuller of Ocala, FL, and special friends Michelle Meunier of Georgia, and Louise Koss of Isle La Motte. Besides her parents and husband Larry, she was predeceased by her sister Kathleen Cross. A celebration of her life will take place at a date to be determined. Arrangements are entrusted to the Brady & Levesque Funeral Home. To plant a tree in memory of Mary MCSweeney, please visit our Tribute Store. "Email Address" would like to share the life celebration of Mary MCSweeney. Click on the "link" to go to share a favorite memory or leave a condolence message for the family.